1 Set to be run for the first time on Saturday at Randwick in Sydney, the Everest will immediately become the world's richest turf race. With a prize fund of A$10 million – £5.92m (or $7.82m) at current exchange rates – the 1,200-metre (six-furlong) contest stands behind only the Pegasus World Cup (projected at $16m for 2017) and the Dubai World Cup ($10m) on the overall prize-money list. Joint-second on the turf list are the Dubai Turf (formerly Duty Free) and Dubai Sheema Classic with $6m purses. 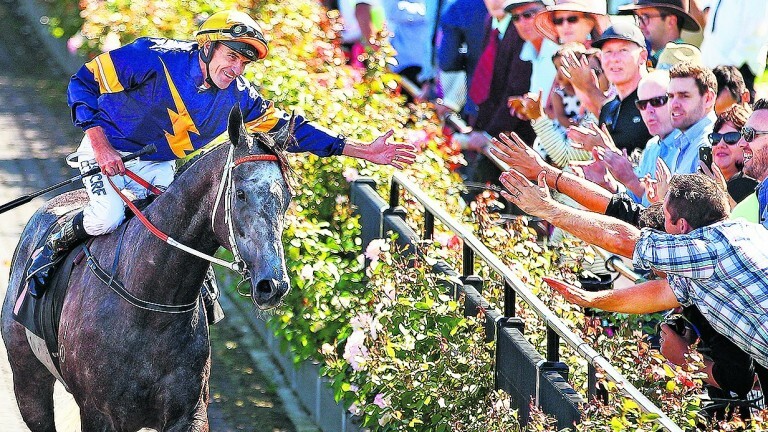 2 The brainchild of combative Racing NSW chief executive Peter V'landys, the Everest has been set up to provide a new highlight for the revamped Sydney spring carnival, largely overshadowed in the past by the offering of arch-rival Melbourne. "Being a sprint over Royal Randwick's testing 1,200m circuit, the Everest is tailored to Australian racing," said V'landys. That may be one reason why there is only a purely domestic field, although at least they've got Jamie Spencer in for 25-1 shot Brave Smash. An American, pop star Jason Derulo, is doing the post-race concert. 3 Launched in February, the new race is based on the Pegasus World Cup, the first edition of which was won by Arrogate at Gulfstream Park in Florida in January. There, 12 'shareholders' forked out $1m for a guaranteed place in the starting gate. 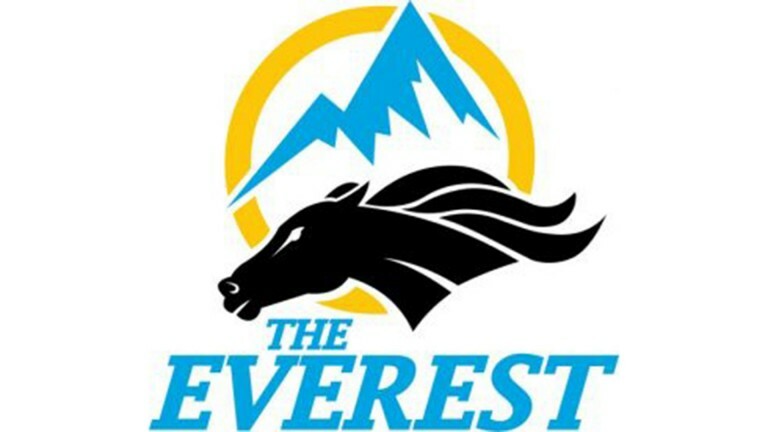 The Everest is A$600,000 a throw, with all investors locked in for three years (so A$1.8m in total). Slot owners have the right to lease, share or sell their starting position, a concept that resulted in a lively market in the final weeks before the Pegasus. 4 The race is scheduled to be run annually on the second Saturday of October, thereby avoiding a clash with the NRL (National Rugby League) final. There is now A$22.5m (about £13.3m) in Sydney prize-money up for grabs over a five-week period from September 9 to October 14. 5 Only the first three home will be guaranteed a profit, with the prize fund is split as follows: A$5.8m for first place, A$1.425m (2nd), A$800,000 (3rd), A$400,000 (4th), A$250,000 (5th) and A$175,000 (6th to 12th). Everyone also gets a cut of what are termed "additional revenues". Various studs, racehorse owners, the sponsors Tabcorp and the Star casino were among those to get involved, while the Australian Turf Club, which runs Sydney racing, also acquired its own 'wildcard' slot. 6 Given that final declarations are not required until 10am on Tuesday October 10, there is still time for the field to change, although there's a putative list of 12 intended runners headed by likely favourite She Will Reign, who made a triumphant return to beat older horses in the Moir Stakes at Moonee Valley. "Bring on the Everest – bring it on!" said trainer Gary Portelli. "She's the real deal." Five jockeys were said to be chasing the ride; Corey Brown got the gig. 7 She Will Reign is a fairytale filly who cost just A$20,000 as a yearling before going on to win the Golden Slipper, the world's richest two-year-old race. According to Sydney's Daily Telegraph: "Her ownership group is made up of everyday Australians – there’s a builder, salesman, five old footy teammates, housewife, carpenter, three coalminers, podiatrist, teacher, landscaper, hospital worker, ice-cream factory worker, two small business owners, nurse, family carer and retiree." They have partnered with Chinese billionaire Yuesheng Zhang, whose company Yu Long Investments bought one of the original Everest slots. 8 The Star casino, another one of the original dozen Everest shareholders, is set to fly in about 40 high rollers from overseas to spend the week in Sydney. Newmarket Handicap victor Redkirk Warrior, one of three likely runners for the David and Ben Hayes/Tom Dabernig training team, is the Star's representative. The Hayes's number one looks to be dual Group 1 winner Vega Magic, running for Max Whitby and associates, including Neil Werrett, managing owner of the Black Caviar syndicate. 9 Coolmore, whose $1m Pegasus slot eventually ended up in a deal with Arrogate's connections, were among the initial dozen shareholders for the Everest. Although Caravaggio was mentioned as a possible, the Irish team's slot is now set to be taken by three-year-old filly Tulip, a 50-1 shot. 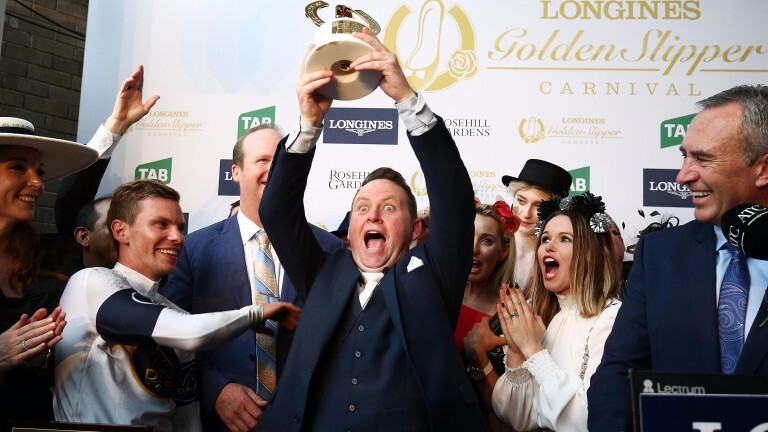 "She's a brilliantly talented filly and more than capable of mixing it with my Group 1 sprinters, so deserves her place," said trainer David Hayes. 10 Original ante-post favourite was the flashy grey Chautauqua, who has won the last three runnings of the TJ Smith over course and distance in April and only recently lost his position as the world's highest-rated sprinter to Harry Angel. The seven-year-old gelding, taking the slot of part-owner Greg Ingham, was deposed as market leader after two unplaced efforts last month. Rule him out at your peril, however – he produced impressive closing sectionals.